Hello Friend’s, Today, I am sharing one of the DSLR click of Sedum rubrotinctum ‘Aurora’ which is also known as “Pink Jelly Bean” or “Pink Stonecrop”. It is a very interesting plant whose leaves are looking like jelly beans and the color of the leaves are changing from green to red during the summer. This plant is classified as a hybrid plant. It will approx. grows up to 15 cm tall and spreads up to 90 cm. It is a species of Sedum from the Crassulaceae family of plants. The usage of these plants is for groundcover, container, house plant and rock garden. The special attributes of these plants are heat and drought tolerant, succulent, and foliage interest. The season of blooming is spring (summer). 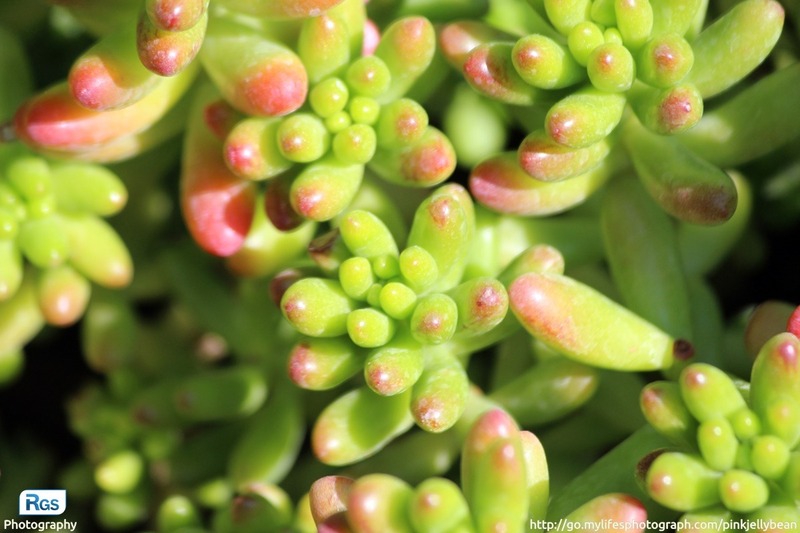 If you want to know more about this plant, Go to the following mention link: About sedum-rubrotinctum ‘Aurora’ – Pink Jelly Bean. I have captured this photo at Savera Palace Hotel of Mount abu, Rajasthan, India. Friends, if you have any suggestions, write it on the below comment box. Do you like our post? If yes, don’t forget to share it with your friends. This photo is captured by using Canon 1200D EOS. Loved the minimalist yet informative post. Looking forward to explore and learn. Thanks for your appreciation, reading and writing to blog post. Wonderful work..thanks much for sharing. Really, truly enjoyable. Never seen this before, thank you for it. beautiful!